The main reason for our trip to Japan was for my daughter to see her favorite animal - DEERS! 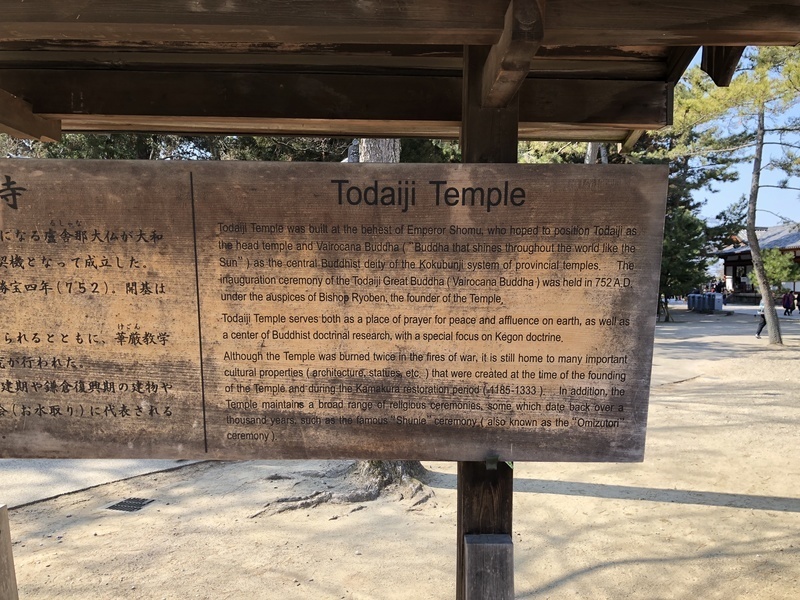 Nara Park was on her wish list for a while because it's where hundreds (maybe thousands?) of deer are allowed to roam free with no fear. We took the one hour train from Kyoto and made our way to the park. 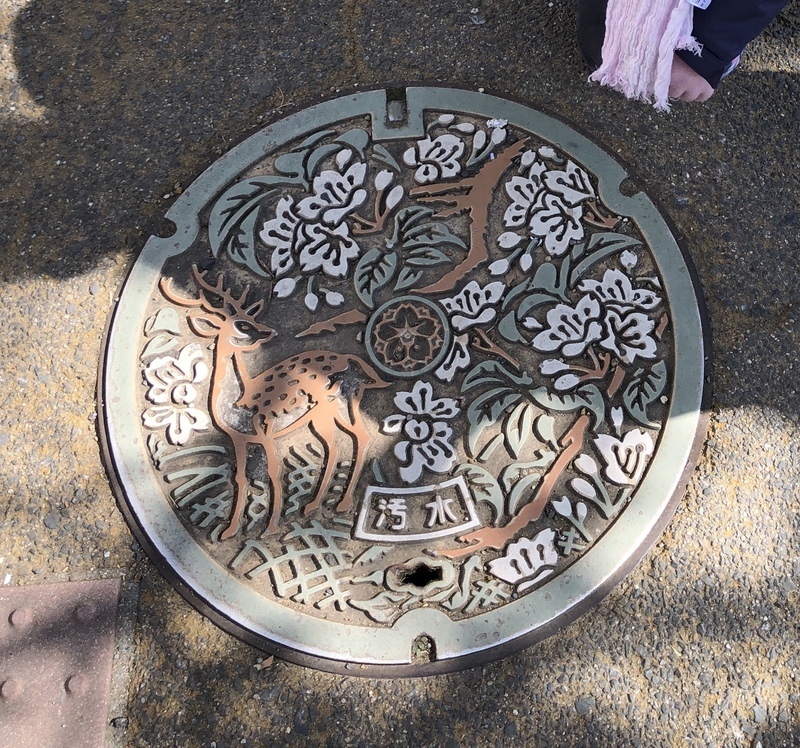 All the iconography in the city are deer related, including street signs, buses, and even manhole covers! 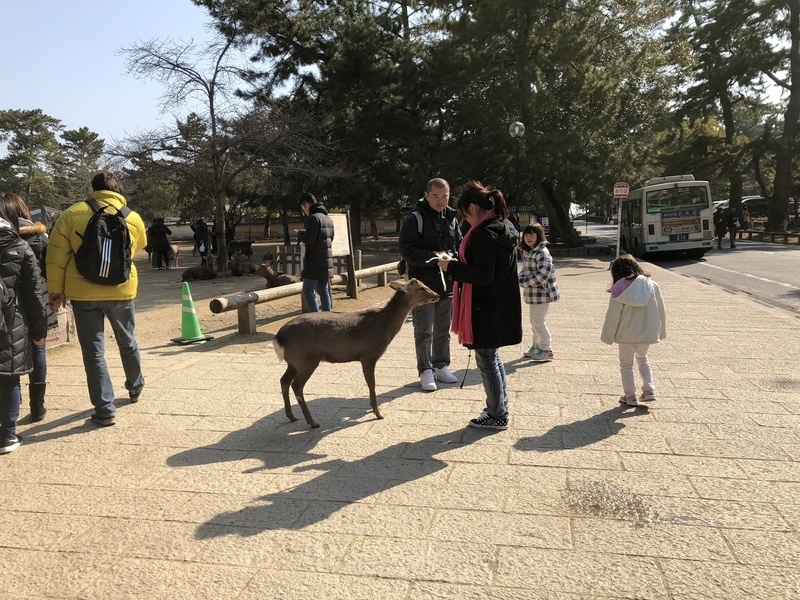 Once you enter the park, you are immediately swarmed by deer looking for you to feed them deer crackers (can be purchased from vendors throughout the park for 150 yen). It went from cute petting zoo to aggressive head butting quite quickly! For those who plan to take small kids, just be aware that these are wild animals and many are not docile. I was butted quite often when I had crackers in my hand and even nipped a couple of times. The deer will leave you alone if you don't have crackers so if you don't want the attention, just don't have any in your hand. With all that said, it was an overwhelmingly positive experience for us to be so close to the deer. Aside from the deer, a big highlight of the park is the huge Buddha statue at the Todai-ji Temple. The temple itself is huge and beautiful. The large statue of the Buddha is a site to behold. Be sure to walk all the way around and see the statue from all angles. On the way back to the train station, we stopped by a tuna restaurant called Maguro Koya. It's tucked in a side alley and looks completely unassuming from the outside. Inside, is no different with a simple setup for the husband and wife establishment. As the name suggests, they serve mainly tuna and it does not disappoint. We got meal sets of maguro, chutoro, and otoro. No fancy presentations, just sliced supremely high quality tuna served with miso soup and rice. If you are a tuna sashimi fan, this place will exceed expectations.